Every night when stars rose upon Hyrule, the Dreamkeepers watched over the slumber of the Hylians, from their place beyond the edge of reality. But one fateful night, when the dreamers where heavy with worry, the Nightmares ascended from the darkness. The Nightmares plagued the people and soon all hope was lost. With the source of their power withering, the Dreamkeepers began to dissappear. Traveling beyond the borders of the waking world, the hero felled the nightmares and brought back peace upon the dreams of the people. The hope returned in the hearts of the Hylians. 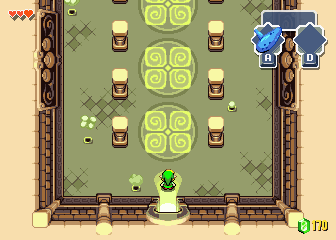 Goal of this project is to create an authentic 2D "tLoZ" fangame with a Gameplay experience similar to that of Nintendo's 2004 Game Boy Advance title "tLoZ: The Minish Cap". 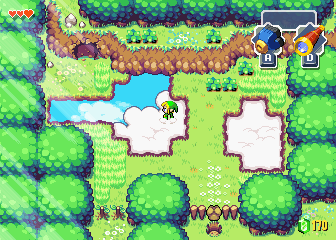 The game is created with Gamemaker 8.1. "Echoes of Aurelia" takes place in a surrealistic setting that is meant to make players wonder and immerse themselves in the world we have imagined. 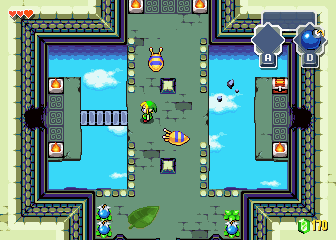 The game does not try to fit anywhere in the Zelda timeline, though it does use content that has been introduced in the official Zelda titles. The Dreamkeepers of Aurelia watch over the slumber of the Hylians. 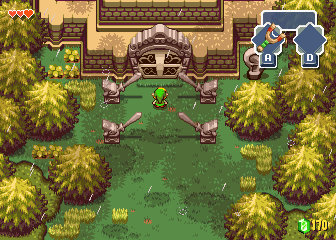 Their task is it to feed the realm of Hyrule with hope. As Aurelia is formed by the dreams of the Hylians, it is not only a happy place. The nightmares that plague the Hylians are threatening to bring peril over the Dream Realm. An evil imp by the name of Alp is summoning ever more nightmares in the sleep of the Hylians bringing more and more danger to Aurelia. 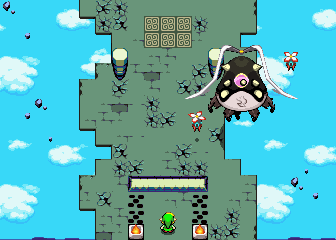 Through a twist of fate, Link and Princess Zelda end up being torn into the realm of Aurelia. 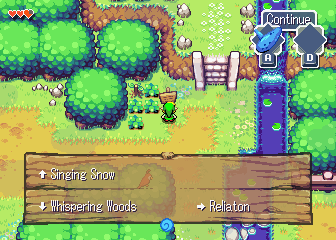 To save the princess, Link has to awaken the Dreamkeepers and learn a mysterious melody that has the power to drive the nightmares away: the Echoes of Aurelia. Aurelia is the Realm of Dreams, guarded by the Dreemkeepers. The world of Aurelia is created by the dreams of the Hylians and thus you can come across basically anything, nothing is really impossible in Aurelia. 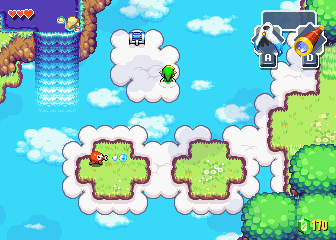 Its landscapes are floating islands with elemental themes. For example, one continent is made of forests whereas another is shaped by great amounts of sand. Echoes of Aurelia centers largely around the use of music to interact with and navigate through the world. 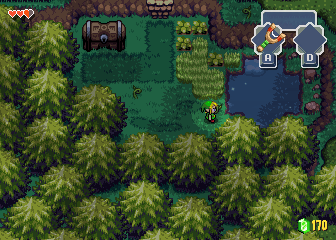 The Ocarina will see an comeback, in all its OoT glory with many new melodies and some old and trusted ones! 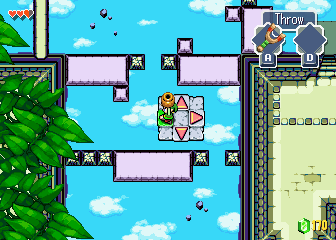 Much like its sucessor in spirit, the Ocarina will be played by pressing different buttons. Play your song and Aurelia will listen! 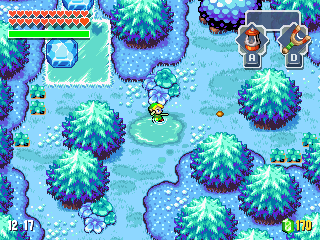 The Whispering Woods is the first continent Link travels to on his quest to save the realm of dreams. It's a number of areas that consists of different kinds of forests. Deep within the Whispering Woods, Skyforest Shrine, lies hidden. 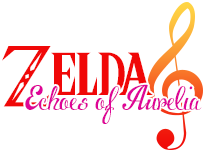 TLoZ: EoA features custom music. Original score written by Bermuda Productions own composer, InvertedMean. Engine Demo - Download Link! The game lays great emphasis on the gameplay experience by putting lots of devotion into well written lore, intelligent coding, artistic map design, and wonderful music. 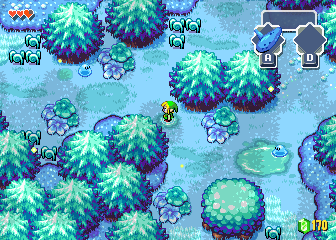 Nintendo(the Legend of Zelda franchise, various sprites and sounds from various official Zelda titles), Moffett(sprite ideas), Linkus(various sprites), HelpTheWretched(sound effects), Desgardes(sprites), ndchristie(plant sprites), Xfixium(coding), Migokalle(sprites). This topic will keep you updated with news and progress, more screenshots will be added over time and new music will be uploaded to our channel. Hey, I gave you a karma boost because I really like the appearance of the game and the variety of the screens you included. It's a little confusing as to why the lantern is being used when the area is mostly visible though but overall this project is one that I will be following. Please keep up the good work! If I include the support image in my signature, would it be alright with you if I changed the URL to refer to this topic though? 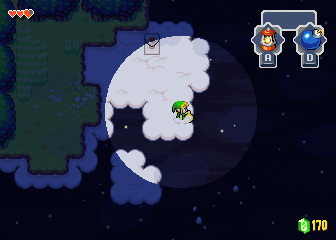 As for the lantern, that might be when the area has almost turned into day and the lantern is still active ingame. I need a demo :p! this looks waay too sweet ! congratz on what you have achieved! Yeah, that's because we have a time system with a slowly transition from day to night. I hope you like our game! We have worked on it since march as we revamped the Time Walker idea. This look very promising. I really like how it looks, and the musical theme of your title image is a great idea. Keep it up! This game looks beautiful! I support all the way! When can we expect a demo? I have a feeling I am going to REALLY enjoy playing this game. It looks amazing Gonken! And i'm listening to the music right now, outstanding! Hi all, and thanks for all the nice comments. I'm InvertedMean, the composer and headmaster of music (man those titles!) for the Echoes of Aurelia project. Be sure to check out all the, (great if I'm allowed to say), music! Link can be found in the main topic or in my signature! But really, this looks amazing. 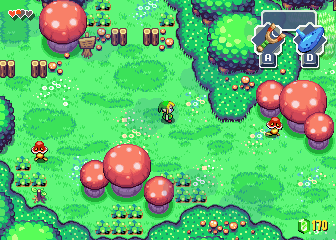 I'm not normally a fan of Minish Cap-style fan games, but this just looks gorgeous! Just wanted to say hello, everybody. 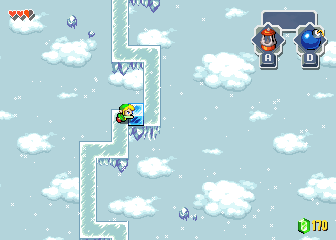 On PZC I go under the nick "Yoshimi", over here I'm "Sheik". 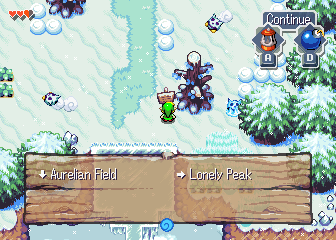 I am one of two guys that invented the original Echoes of Aurelia back in 2009 when it was developed as a Zelda Classic fan game. It was discontinued after it nearly reached completetion and a while ago Gonken has brought the idea back to life. Now we are building the game with GameMaker. What's my part on it? I am very busy with university (I am making my bachelor's degree in psychology at a German university), thus I'm not really working much on the game anymore. However, most of the concepts and the plot are based and build on ideas by me and I've made some of the custom graphics. The real credit belongs to Gonken, though, as he is the mastermind behind the project. Our coders and our music-head also do fantastic work of course. It makes me happy to see the overhelming postive feedback we are getting! ZFGC has the reputation to be rather elitist and quick to critique the efforts of other's but my impression here is another one: you seem to be a pretty warm and welcoming community. I'm honored to talk about EoA with you guys. If you have any questions regarding the plot or background story of Aurelia (the world EoA takes place in) or any of the characters I'd be happy to answer if that doesn't mean too much of a spoiler. The plot is pretty good so far, I saw the wolfos sprite as well. I didn't get a chance to fully read the plot yet. The Wolfos sprites are early wip, I'll remake them from scratch anytime in the future. Didn't see those in the snow screenshot the first time I looked. Yeeeah giving credit is probably for the best. I'll inform the people in charge of this.